In the wake of the Rojava Revolution, many western leftists have engaged in solidarity actions and other forms of support. As a Communalist residing in Vancouver, I have attempted to support the revolution by working with Kurdish House Vancouver to organise events to raise awareness, such as discussion panels with international volunteers Hanna Böhman and Cody Bergerud, as well as documentary screenings. Those paying attention to these kinds of efforts have likely heard of Rojava Plan. It was a resource that sought to facilitate bringing internationalists to Rojava to work with civil society groups there, collect donations, and a variety of other projects. 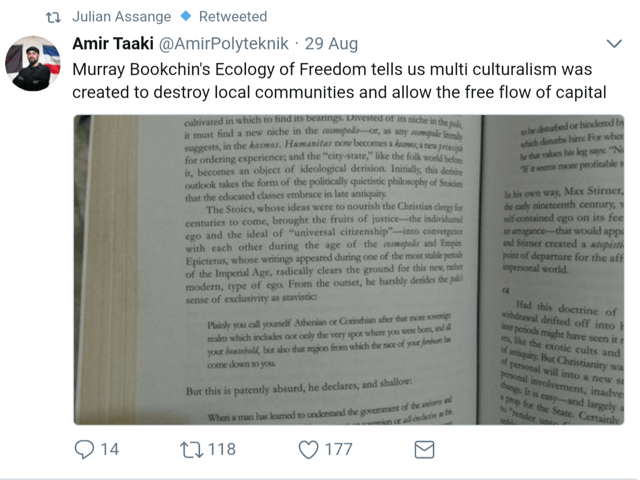 This article outlines what I believe to be a case of alt-right entryism into Rojava Plan and Rojava solidarity efforts more generally through the actions of an individual named Amir Taaki. Although focused on the Rojava Solidarity movement, it illustrates a problem that has surfaced in other movements as well. I’m fascinated by the Alt-Right. I’ve watched the alt-right develop. I think that the alt-right is the only place that exploration and differentiation is even happening. That’s not happening on the left […] And look, I didn’t vote for the guy [(Trump)], but like, you know, take a good thing when it comes your way […] With Trump’s victory, Amir’s mission can succeed as well […] Rojava is allowed to continue to exist. 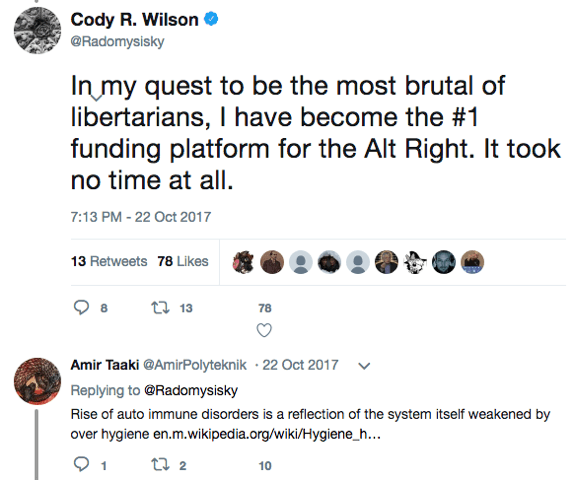 Wilson is also the founder of the alt-right alternative to Patreon, Hatreon, which Wilson boasts as the “#1 funding platform for the Alt Right”. 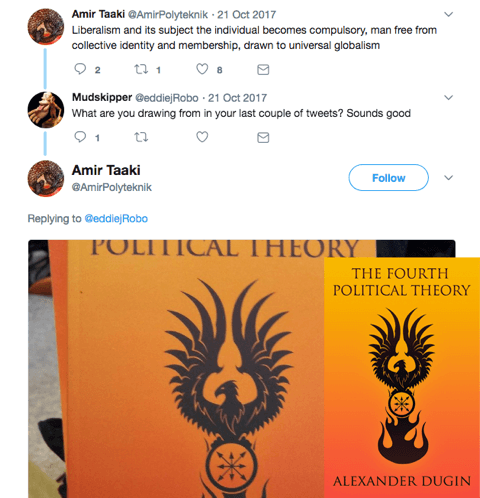 The examples above provide a clear picture that Taaki is not engaging in a critical examination of New Right ideology, but rather openly advocates elements of their philosophy. This underscores the dangers of vaguely “anti-system” positions as well as the need for a theoretically coherent and liberatory politics. Absent clear analysis and vision, we run the risk of conflating emancipatory critiques of liberalism and capitalist modernity, such as Öcalan’s, with the far-right’s anti-liberal revolt against the modern world. The aim of this article is not to attack Rojava Plan in its entirety or all individuals who have associated themselves with it. Indeed, locally we have featured speakers at Rojava-related events who have worked with Rojava Plan. But given the information outlined here, there is obviously a strong alt-right tendency within the group which must be challenged. Whether this is ideological naivete or an attempt at right-wing entryism, those who support the emancipatory political vision of Rojava must be clear it has nothing in common with fascist and New Right philosophy. Steven R. D. Henderson is a Communalist from Western Canada currently studying the utopian history of the Canadian West.